Today blog post is a little bit different than usual because the product I'm going to talk about isn't either a makeup or beauty item. It is something that has really helped me during the worst headaches. so if I can avoid I stay away from taking any pill. I don't know how, or why but this thing works! with the origins and anything you need to know. 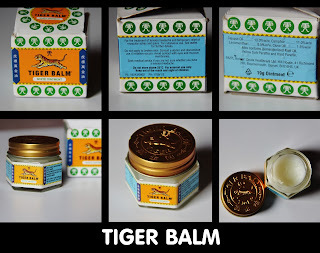 the other alternative is the Tiger Balm Red which is stronger and "Hot"
I'll definitely check this out next time. Have you ever tried it? or the Red one?